There can be no better place in the world for families with children of all ages to immerse themselves in the wonders of nature and at the same time learn to appreciate the delicate relationship between wildlife and humans. The emphasis in the Islands is, of course on the natural world, but there are still opportunities to combine these with other pursuits such as walking, cycling, snorkelling, kayaking, surfing or just lying on a pristine beach. 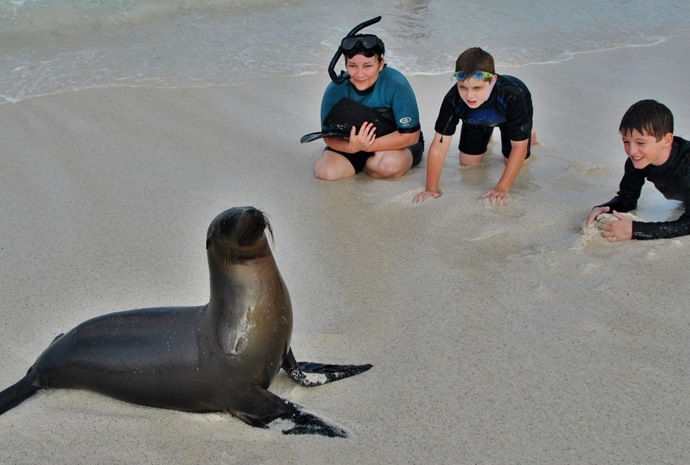 Children are also welcome on board Galapagos cruise boats and many of these will also have opportunities for kayaking, as well as snorkelling.